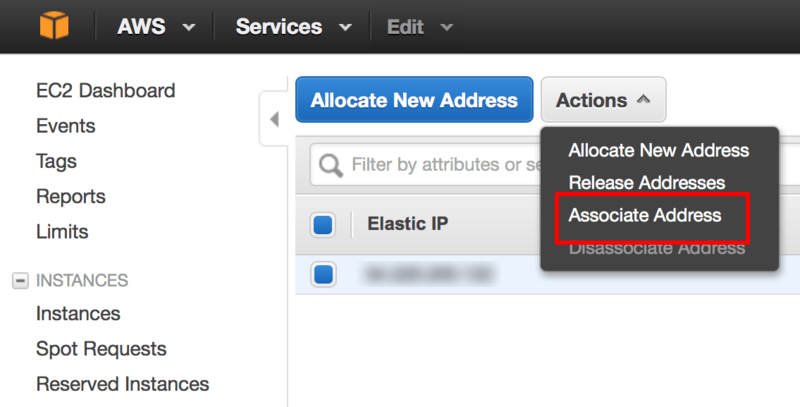 In the resulting dialog box, enter the instance ID of the new server and click the “Associate” button. The elastic IP address will now be assigned to your server and will persist across shutdown/reboot operations. NOTE: As long as an Elastic IP address is associated with a running instance, there is no charge for it. However, an address that is not associated with a running instance costs $0.01/hour. This prevents users from reserving addresses while they are not being used.